During World War II there were 126 Prisoner of War (PW) camps in the United States. 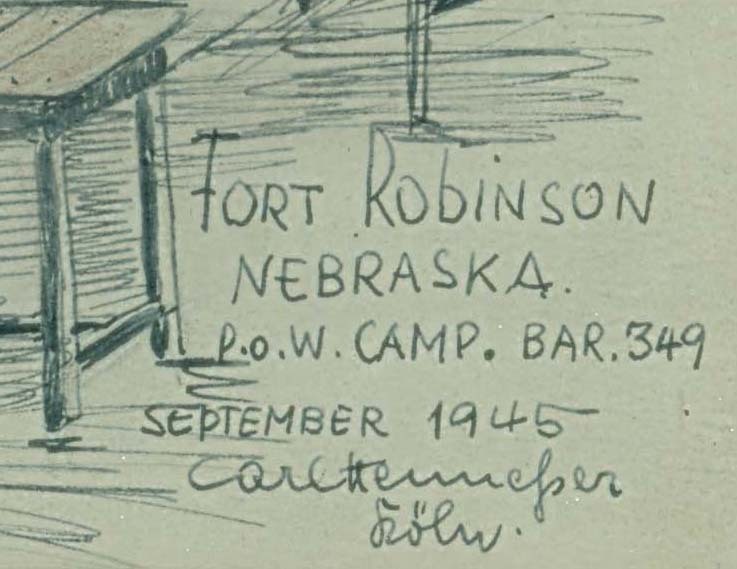 Fort Robinson, Nebraska had one of these camps. By the end of the war, this camp consisted of 160 temporary buildings, and housed three thousand inmates, and several hundred military guards, interpreters, and other camp personnel. 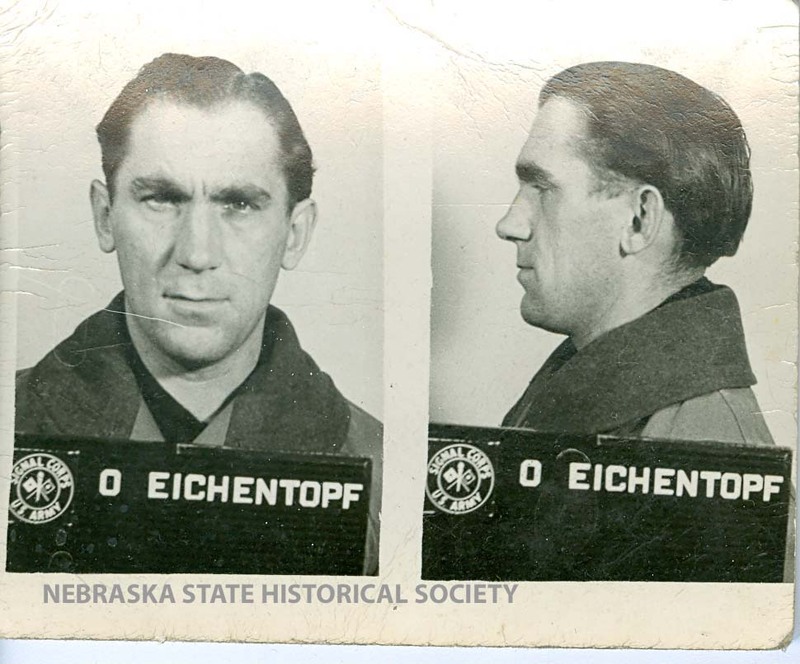 Recently the Nebraska State Historical Society received a wonderful donation from relatives of one of those prisoners. This drawing of Barracks 349 shows the cots and belongings of three prisoners. Notice that the bags tied to each cot are labeled “EICHENTOPF,” “SCHUHNLENZ,” and “SCHWERDT.” The drawing was donated by relatives of Otto Eichentopf, who was a Prisoner of War at Fort Robinson in 1945. The artist’s last name is difficult to read. His first name appears to be Carl and below it says “Köln,” perhaps meaning that he was from Köln, Germany. 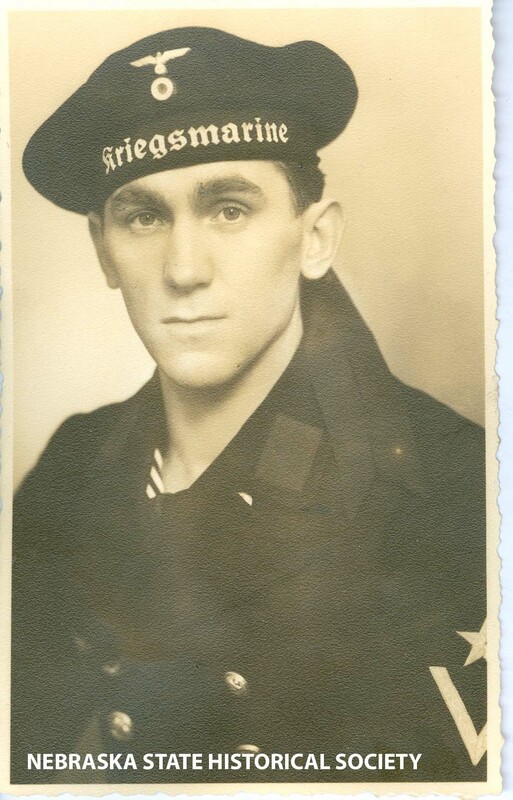 We have been trying to decipher his last name, and think it could be Heinscher. We would love to learn more about the artist if anyone out there has more information. Thank you to Gerd and Katrin Heller for this wonderful donation.